Berry Once Brought To Market On Beds Of Straw – Hence Its Name | Chatham-Kent Agriculture Development | We Grow For the World! 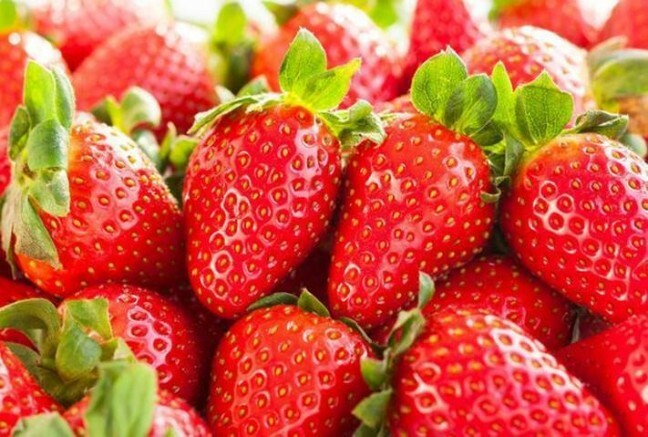 Red and juicy strawberries. I would think most people are always looking to enjoy a fresh, locally grown strawberry. Those red delicious berries bring back memories of going to the fields with my mother so she could make strawberry jam, although I probably ate more than I picked. Did you know there are over 600 varieties of strawberries in the world? Their history dates back over 2,000 years with records showing a number of native varieties in many parts of the world. The berries seem to be strewn among the leaves of the plant. The plant first had the name strewberry. Farmers used to bring them to market on beds of straw, so later the name was changed to strawberry. In France strawberries were cultivated in the 13th century for use as a medicinal herb. It is said that the leaves, roots and fruits of this variety of strawberry were used for a digestive or skin tonic. Internally, the berry was used for diarrhea and digestive upset, while the leaves and the roots were used for gout. Externally, it was used for sunburn and skin blemishes, and the fruit juice was used for discoloured teeth. Many people ask if the strawberry is a fruit. Botanically, a fruit is the ovary of a flowering plant. Think of how oranges, bananas and apples have seeds in them. However, the strawberry doesn’t actually develop from the ovary of the plant, so it isn’t a standard botanical fruit. Technically, the strawberry is an aggregate accessory fruit, meaning that the fleshy part is derived not from the plant’s ovaries but from the receptacle that holds the ovaries. It is the small black spots which are actually the fruit. The strawberry is considered one of the most important small fruits grown in the Western Hemisphere. Today every province in Canada and every state in the United States grows the strawberry plant, growing both as a wild plant and as a cultivated plant. The Ontario Berry Growers Association (www.ontarioberries.com) is a provincial organization, which represents strawberry, raspberry, blueberry, cranberry and other berry growers by funding industry promotion and research activities. Strawberries contain a large amount of antioxidant, anticancer, anti-neurodegenerative, and anti-inflammatory properties. Strawberries are an excellent source of dietary fiber and Vitamins C and K. They are a very good source of manganese, pantothenic acid, vitamin B1, and iodine. They are a good source of folic acid, biotin, and vitamin B6. So now is the time to go out and pick your own or buy some delicious and nutritious Chatham-Kent grown strawberries at many of our local produce stands, markets, and stores. Thank you for continuing to support our local producers. It’s good for you, knowing you are eating fresh and nutritious foods, and is great for our local economy. Think about this – Man’s way leads to a hopeless end, but God’s way leads to an endless hope.